Ask the Readers: Should you transfer a Class A mutual fund savings account to a Roth IRA? Like J.D. Roth said in his post “Which investments are best for a Roth IRA?” we still have to default to the standard advice: “I can't tell you exactly which stocks or mutual funds you should buy, but I can give you some ideas.” Admittedly, it is difficult to answer a question like this with specificity because there is so much about their individual situation that we don't know. For example, does the reader have an adequate emergency fund set aside — say, six to nine months' worth? Many investment advisers recommend that an emergency fund always be established before funding a tax-efficient account or Roth IRA. One thing is clear, however: Such a move would require that taxes be paid up front if the money has been going into a tax-deferred retirement mutual fund. It's a point that Financial Sam has been harping on for years at FinancialSamurai.com: “… go with a traditional IRA and never give more money to the government than you need to,” he writes in his article about the disadvantages of the Roth IRA. If you were in the reader's shoes, would you maximize your contributions in this way? Do you have a different suggestion? There are 13 reader responses to "Ask the Readers: Should you transfer a Class A mutual fund savings account to a Roth IRA?". I don’t have enough information to give a definite answer. As you’ve said, there are too many unanswered questions – what is the goal of the money, is there enough savings he has to rely on should he lose his job, does he have high interest debt, etc. The one thing I would suggest is to not buy loaded mutual funds in the future. There are so many options out there, why pay to invest in a fund that you could invest in a comparable fund for free? You’re exactly right. 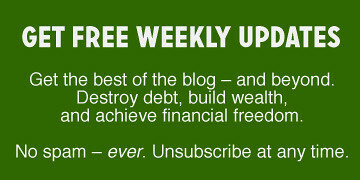 I’m not sure about “free,” but we can get close to it at Vanguard, Fidelity, Schwab and others. Checking two American funds at random, both had loads of 5.75%. That is crazy. Maybe the word is stupid. In fact, anyone who’s not knowledgeable about loads shouldn’t be investing. They should be reading, studying, researching. Then if they still want to pay the load — against all historical experience — fine. I could go on and on, but then I’d need my own blog. Bottom line: avoid high load funds. It matters a lot. 5+% Load?!?!?! Holy hell Batman, that is beyond insane! I only had about a months’ worth of emergency fund money set aside before I started contributing to my ROTH. Once I hit that threshold, I started dividing contributions to the e-fund and my investment accounts as a percentage of each paycheck. That way I could tackle multiple goals at once and not totally miss out on the benefit of added time with my ROTH. This is what I do as well! So glad that I am not alone in splitting my funds between two different goals in order to reap as many benefits as possible. I’ll have to disagree with financial Sam, because Uncle Sam *will* get his money. However if your young and broke like me, a Roth IRA does make a lot of sense because I’m paying a lower tax rate than when I retire. Although when I’m older and bringing in the big bucks, I’ll probably opt for a traditional IRA because I will need less each month in retirement so deferring the tax payment until withdrawal is advisable from a tax standpoint. I agree. I did my rollover into a Roth when I was newly divorced and broke, so the taxes didn’t hurt much. I’ve had a couple big emergencies that I didn’t have the cash for, and I was able to take out some of the principal in my Roth to cover them without any tax consequences. My wife and I have significant money (Roth and regular) in a 403(b), and smaller money in Roth IRAs. I like the idea of having two “buckets” to draw from, and a Roth to pass on to heirs, if that ever arises. Do I trust our government to forever keep its Roth promises, given the current federal debt and the size of 401/403/IRA balances? About as far as I can throw Air Force One. I’m almost positive that only *money* can be contribuated into an IRA (whether traditional or Roth). In either case he’ll have to liquidate the fund that in a taxable account, pay the capital gains taxes, contribute to an IRA and then buy the mutual funds he wants. It’s always hard to give advice without being able to talk directly to the person (which is why robo-advisor programs leave a lot of questions.) But I can’t see any reason, given what is disclosed, not to strongly consider moving the money into the Roth. Even though he’s already paid the commission in the American Fund, he could compare the management fees to an equivalent fund in Vanguard, Fidelity, etc. This is not the same as commission–management fees are taken out by every mutual fund company before you ever get your return, in order to pay advertising, management salaries, etc. Not only will a load fund sock you with commissions, they’ll usually ding you with higher management fees every year. Do you think taxes will be less in the future? No?, then choose a Roth unless you expect your income to be so much less in retirement that your own personal rate will go down. You can always tap it in an emergency (but don’t). Full disclosure, I am a certified financial planner, and none of this is meant to be financial advice relevant to any one’s particular circumstances–just commenting on general principles. Why is paying a 5% load so terrible? Its a one time fee, and for those that do not have the time to manage their money, why not pay it? This has been found to be true many times over the past decades. Because you can get an equivalent (or probably better) fund at a place like Vanguard for probably .2%. Why pay more than 10x the fees when you get nothing better in return.